“A Brighter Day with Fr. Andrew” is a show that comes to lift up your spirit and make you feel more cheerful and hopeful. Your host, Fr. Andrew, discusses different topics and presents them in a ... See More way that is spiritually inspiring and motivating to brighten your day. The show comes in two languages, English and Swahili. ​​Hello everyone, I’m Mike Frey, your host, I want to welcome you to my Bereavement Miracles program of recovery. The Bereavement Miracles program is a 12-step systematic approach to unity and hope when dealing with the loss of a loved-one. My intent of this 12-step program is to help our listeners begin their journey towards healing by ... See More way of developing fellowship and a relationship with Christ. ​​The word Miracles can be understood by the little changes in one’s life. What I mean by this is, as the program unfolds, you’ll notice signs that your life is becoming productive and that you can love again while still honoring the memory of your loved one. So when you do see a picture or remember a birth date, you’ll be able to smile or even chuckle because you believe, that you’ll be with your loved one again in heaven and that you do treasure the time you had together here on earth. The title for this series of reflections is based on the words of the prophet Isaiah [53:5] promising the healing of Israel; words which Peter echoed, referring to Christ, in his first letter, “By his wounds, you were healed.” [1 P 2:21-25]. Peter’s joyful proclamation may harken back to his remorse for having denied the Lord on that ... See More fateful Holy Thursday night. But, when Peter confessed his heartfelt love for Christ on meeting him after the Resurrection, the Lord forgave him, lifted him up with His mercy, and gave him the mission for the ages: “Feed my lambs, feed my sheep!” [Jn 21:17]. Peter understood that the gift of God’s super-abundant love and infinite mercy had been poured out for humanity through the open wounds of Christ on Calvary, and so in these reflections we, too, will ponder the love, mercy and forgiveness that flow through the Sacred Wounds of Christ. Because there will be many reflections to follow, they are organized in three major sub-headings: 1) the Sorrowful Wounds of Christ which he endured on Good Friday, 2) the devotion to these merciful Wounds which has found its expression in a devotion to the Sacred Heart, and more recently in the Chaplet of Divine Mercy, and 3) the Glorious Wounds as they are retained in the body of the Risen Lord [cf. Jn 20] and which gave rise to his apostolic mandate that we forgive one another. We offer these meditations, conducted in the style of a directed retreat, in the hope that they will serve as a spiritual guide throughout the year. We hope they will encourage you to see that the circumstances of everyday life provide us with an opportunity to lift up our hearts in hope in God’s infinite Mercy, made manifest in the healing Sacred Stigmata of the Resurrected Christ, our Lord and Savior. This is a program of seasonal shows in the Catholic World, such as Advent, Christmas, Lent, Triduum, and Easter. Jack Quirk and guests discuss contemporary political, social, and economic affairs in light of the Magisterium and Catholic social teaching. Dr. Michela Ferri will accompany you on an audio-visual tour of the discovery of the origins of what we call "Sacred Christian Art". While you will listen the talk, Dr. Michela Ferri will invite you to search on your PC, Tablet, or Smart Phone for the images on which she will be commenting. Luke’s Gospel tells the story of the fisherman, Simon Peter, who had fished all night in familiar waters, but had caught nothing. Christ commands him, “Duc in Altum,” that is, “push out into the deep and lower your nets for a catch.” Although skeptical, Peter does just as Jesus commands. Out in the deep, he catches so many fish that his ... See More nets begin to tear and his boat is in danger of sinking. Peter's astonishment is overwhelming. Christ reassures him, "Do not be afraid; from now on you will be catching men." Each week, and in the style of a directed retreat, Fr. Joseph Henchey and Lisa Fortini-Campbell will delve into a different dimension of Peter's growth in faith, connecting it to the vast treasure chest of Scripture and the Magisterium to show how we, too, can move further out into the deep as we follow Christ in the path of the fisherman, our first Pope. This is a repository for all En Route audios designed to promote the mission of the publishing company, which is no other than the spiritual journey home. A show offered by Joe Indelicato co-sponsored by the Catholic Education Foundation, the State of the Cross in Buffalo, NY, and now WCAT Radio in St. Louis, MO. The Institute for Theological Encounter with Science and Technology interviews Catholic school teachers who demonstrate that there is no conflict between faith and science in their teaching and learning environments. ​where we’re locked, loaded, and ready for battle with today’s hot topics. Fr Dominic Ibok shares his homilies as a source of renewing his rural parish community and a source of faith formation. A show offered by Jayson Brunelle that presents a Marian doctrine, devotion or Church-approved apparition, and explains both the Scriptural and Magisterial basis for the doctrine/devotion/apparition and its theological, historical and the practical aspects. Holy Apostles in Cromwell, CT, is a dynamic Catholic liberal arts college and seminary devoted to the formation of future priests and leaders in the Catholic community. The goal of Holy Apostles is to cultivate Catholic leaders for evangelization. We welcome and serve seminarians, lay students, as well as religious sisters. Holy Apostles ... See More offers a microcosm of the Church where lay people study alongside seminarians and religious in an effort to support and learn from one another. Inter Vitam et Mortem is a forum established by Mary Anne Urlakis to promote discussion of Bioethical topics from a Catholic perspective. This program was offered by Natalia Juzyn on location in Rome for the purpose of engaging interesting people in and around the North American College. This is a forum hosted by Robert Madrigal for people who know their faith and source for people who want to know their faith. In this series, Dr. Michela Ferri and W. Russell Crawford read the Divine Comedy of Dante Alighieri in commemoration of the 700th anniversary of its publication between 1314 and 1321. A program offered by Bob Olson, Joe Brisson, and Gene Dion where you can learn about a new life in the Spirit. God the Father offers a new life to all. Jesus came into the world to bring us God's life. Jesus surrendered to the spirit during His baptism in the Jordan and promises to unleash the source of new life, the Holy Spirit. Catholic evangelist Leticia Velasquez leads us in a discussion of the how John Paul II's "culture of life" provides a real solution to addressing the problems of the culture of death to which our secular society has committed itself. "Mater et Magistra," a Latin expression which literally means "Mother and Teacher," has long been used to refer to the authority that Christ Himself bestowed upon the Church, in entrusting to her the Petrine "Keys of the Kingdom." Christ made a solemn promise to Peter and each of his validly elected ... See More successors that "whatever [they] bound on Earth would be bound in heaven, and whatever they loosened on Earth would be loosened in heaven." Thus, it is to the Pope and the Bishops united to him - collectively referred to as the Magisterium - that the power of teaching authoritatively, in matters of faith and morality, has been given, by Christ, for the benefit of both the Church and the world. Given this tremendous mandate, the Church, under the magnificent Pontificate of Pope St. John Paul II, undertook the monumental task of creating a comprehensive Catechism - the first of it's kind in more than 400 years - which would provide "a summary of what Catholics throughout the world believe in common." Drawing on Scripture, Tradition, the holy Sacrifice of the Mass, each of the seven Sacraments and the lives and writings of the saints, the new Catechism of the Catholic Church would present the perrennial truths of the faith in accordance with the ancient catechetical structure of Creed (what we believe, as per the 12 Articles of the Faith, as presented in the Nicene Creed), Code (how we ought to live, as per the 10 Commandments), and Cult (how we ought to worship God). The last of these - Cult - has been divided into public worship (the 7 Sacraments) and private worship, or prayer (specifically, the 7 petitions that comprise the Lord's Prayer). Thus, using this marvelous resource, which is meant to serve as "the standard for all future catechisms," Catholic author and radio host Jayson Brunelle takes his listeners on a guided tour of this masterfully written synthesis of Catholic faith and practice. Recorded in the studios of Covenant Network with Theresa Holman in Saint Louis, Missouri, Msgr. Michael Witt, professor of Church History at Kenrick-Glennon Seminary, shares with us the history of the Medieval Church. Recorded in the studios of Covenant Network with Theresa Holman in Saint Louis, Missouri, Msgr. Michael Witt, professor of Church History at Kenrick-Glennon Seminary, shares with us the history of the Modern Catholic Church. My Thots by Prof. Michael Brinda, author of Parish Management and Operations: The Buck Stops Here, is a collection of short presentations given in various venues on a variety of topics. How often have we heard the sayings, “It’s harder than it looks” and “If it were easy everyone would be doing it”? These sayings were never more appropriate than when they are applied to the field of parish management and operations. Every how and why detail in parish management and operations . . . is in fact a lot harder than it looks. Practical Catholic helps all people to fulfill the “Universal Call to Holiness” by providing a practical Catholic way of life and making theology practical to our needs at work, family and spirituality. Through practical catholic living, one can attain peace, Love, and joy in order to sanctify the world. "Purified by Fire" with David Suess, who will show how practical the Catholic Church is to building the peace, love and joy in family and work life while deepening their relationship with God through the transformative power of Catholic spirituality, sacraments and Church teaching. A show offered by Mary Schwarz about how to grow in holiness and have an intimate relationship with God. Jesus said in John Chapter 7 "If anyone thirst, let him come to me and drink and out of his heart will flow rivers of living water." Recorded in the studios of Covenant Network with Theresa Holman in Saint Louis, Missouri, Msgr. Michael Witt, professor of Church History at Kenrick-Glennon Seminary, shares with us the history of the Saint Louis, Volume 1. Recorded in the studios of Covenant Network with Theresa Holman in Saint Louis, Missouri, Msgr. Michael Witt, professor of Church History at Kenrick-Glennon Seminary, shares with us the history of the Saint Louis, Volume 2. Written almost 2,000 years ago, the letters of St. Paul are timeless, expressing messages and themes that could just as easily have been directed to the people of America today as they were to their originally intended audiences. In this program, your host will explore current issues in the light of such messages and themes. Welcome to Sunday School, a weekly segment of The Pat Flynn Show, where we chat on the foundations and fruits of Christianity, covering apologetics, philosophy, and theology to better root your understanding of the Christian faith and more effectively equip you to evangelize and share the message with reason and confidence. This is an audio collection from the philosophical spirituality website of Ronda Chervin. The Armor of Faith is a show offered by Doug Bonebrake and friends that explains that if we do not know our faith, we leave ourselves vulnerable to the one who seeks to take it from us. ​Feel free to write us at armoroffaithradio@gmail.com. Blessings! Learn how to deepen and defend your faith, find comfort as we share the vocation of parenthood and marriage and learn how to raise your children confidently Catholic. Recorded in the studios of Covenant Network with Theresa Holman in Saint Louis, Missouri, Msgr. Michael Witt, professor of Church History at Kenrick-Glennon Seminary, shares with us the history of the Church fathers. The Examined Life is a show in which host Phil Kallberg applies the methods, logic, and rationality of rigorous philosophy to the problems and issues of society, life, the universe, and everything. The Lost Voice Programme engages contemporary society with classical philosophy and its application to the faith, the family and the world through conversation, interviews, and general camaraderie. A show offered by Tony Szalkiewicz featuring messages of amazing things happening in the Catholic Church. This show is on hiatus and reruns will run weekly in this slot. Poet, author and professor Annabelle Moseley shares how to live sacramentally, attuning our senses to God's beauty, transforming our joys and pains to great purpose... even in a secular and divided world. Some history of the show: The Open Door, the longest running of the WCAT Radio shows, was established in October, 2016, by Lt. Colonel Albert E. Hughes (USAF Retired) holds an MS in Systems Management (with distinction) from the Air Force Institute of Technology, an MM in Pastoral Ministry ... See More from Seattle University (Jesuit). He is certified in Spiritual Direction by the Monastery of the Risen Christ in San Luis Obispo, CA. He is an accomplished retreat master and Catholic evangelist. A convert at mid-life from agnostic rationalism, he has taught scripture and conducted period retreats in parishes in Seattle, WA, Santa Maria, CA, and Corpus Christi, TX, for 25 years. Following Al's departure from the program, Jim Hanink and Matthew Bartko became the show hosts and continue the dialogue. The faculty at Holy Apostles, a small liberal arts college and seminary in Cromwell, CT, will use this station platform each week to deliver and discuss one idea on which they're working that draws together faith and reason. The format is set up to resemble a conference paper - 20 minutes of presentation by the faculty member ... See More followed by a half hour of engagement from the assembled colleagues. Show times are Friday afternoons at 4:00 pm Eastern, and all faculty worldwide are invited to participate. To sign up for a date and time to give a talk, email the topic, a couple of suggested dates, and a short outline to Dr. Sebastian Mahfood, OP, at mahfood@wcatradio.com. “The Voice of Hope - Tabora” is show about how we Catholics should live our lives reflecting our faith, “the realization of what is hoped for” (Hebrews 11:1), which has been taught to us by Christ and his disciples. The first half ... See More of every show will be in English, and the second half will be in Swahili, the regional tongue of southern East Africa. Our book is changing lives every day. It is having a wonderful effect on people’s lives every day. We receive many comments from people who are so impressed that they go out and purchase books for all their family and friends to read. This audio book sets forth the simple and easy steps it takes -- to become a friend of God and to have ... See More regular conversations with God all day long (and, this all happens in just the first episode). After that amazing effect, listeners then enjoy hearing about 100-actual-true-miracle-stories which occurred because the author used the methods that were just explained in the first episode. At this point, listeners have learned how to have face-to-face conversations with God, and they have also read about TRUE MIRACLE stories that resulted from the author’s personal conversations with God. This single audio book is all-inclusive and self-contained because people get all they need in this one book (primarily because they are talking to God every day now after they have listened to the book and are receiving their own Co-incidence Miracles from God Himself from that point onward). The audio book convinces readers with facts and truths that: We each CONSTANTLY have our own private and personal presence of God--as our own personal God-Friend, always present all day, every day! Treasures in Heaven, hosted by Bill Ayles, is about seeing our lives and our future life through Christ's invitation: "store up for yourselves treasures in Heaven." With this invitation we are "asked" to answer relevant questions. Why did Christ give us this invitation? What are treasures in Heaven? How do we ... See More store them up? True Wealth, with hosts Dave Basconi and Maria Smith, is a spiritual show about real life living. "Why Catholicism is True" is a show that advances the position that God Exists, and that this can be rationally demonstrated. We further affirm that God as “the sole, ultimate reality” is far more plausibly true than alternatives offered in other religions or its opposite in atheism. That Jesus Is God, and that the evidence ... See More surrounding his life, death and resurrection is clear, obvious, and easy to accept given God’s existence. The Catholic Church is Jesus’ Church and that this can be known through both Scripture and a study of history: That Christ left us with a visible, hierarchical and sacramental religion. We believe the majority of objections to Catholicism are, frankly, irrelevant. In other words, what many people argue over with regards to the Christian religion are often unnecessary blockages---evolution, for example, or whether Genesis was literal history, or scandals or whatever. Instead, think of it this way: Answer in the affirmative the three questions above (does God exist, is Jesus God, and did Christ found the Catholic Church?) and you then have all the grounds you need for becoming a Catholic, and (hopefully) wanting to be. Everything else you can then figure out as a Catholic. This we call the Minimum Effective Apologetic. We believe not only that Catholicism is true, but that everybody should want Catholicism to be true. No other religion so adequately answers the difficulties and mysteries of life; no other religion offers such meaning, happiness, and hope. We believe Catholicism is humanism on steroids. When rightly understood, no other religious or philosophical worldview dignifies and cherishes human life to a higher degree than the Church which Christ left us. We do not believe all other religions are wrong all the way through, only that the fullness of truth is found in Catholicism. The mission of Why Catholicism Is True is to offer a “minimum effective apologetic” for the one, true faith: To show that God exists, that Jesus is God, and that He founded the Catholic Church. We want to deepen the convictions, understanding, and devotions of Catholics. Furthermore, we believe in charitable and open dialogue with people of all religious and denominational backgrounds. As powerful as we’ve come to believe the arguments for Catholicism are, we believe the greatest evangelization effort is living the way Christ intended us to: with love. Visitors: You can expect us to present our case with eagerness, openness, and respect. We only ask that you do the same. This show is hosted by a former atheist, who was once very much against religion. Glory to God. 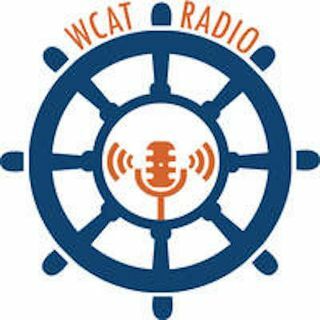 ​2:00 pm Eastern - "Why I Am Still Catholic" with Dr. Ronda Chervin - Are you a Catholic who is wavering about the faith? Are you a Catholic who has left off coming to Church? Or, are you a strong, practicing Catholic who knows people who are wavering or have left the sacraments? This is the program for you. Listen to ... See More interviews with Catholics who benefit greatly from the Church in spite of some of the reasons others are wavering or have left. This show is currently on hiatus. Reruns will run each week during this time slot. An evangelization program in which Michael Horn interviews someone in the Archdiocese of St. Louis and talks about the beauty and wonder of evangelization and how the individual lives evangelization in his own life and the power of his or her personal witness.